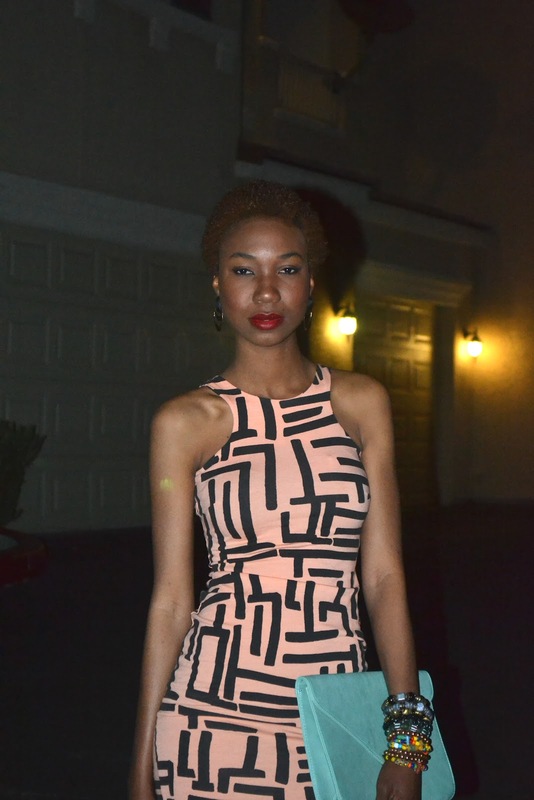 For my night time outfit, I went for a body con midi dress. Courtesy of my lovely sister :D. The geometric print, and cut away shoulders gave the dress a daytime feel. My dark red lipstick, dark eye make up, and ankle strap heels give it more of a night time approach. The right accessories and make up can switch up an entire look! RIVER ISLAND dress (here), FOREVER21 clutch, CHARLES DAVID strappy heels. Thank you Miss Marie! :Dxoxo! !